Flip flops, t-shirt and shorts might seem appropriate for this terrain, but when you are hurtling down the steep dunes on your belly inches from the sand you will regret not having an extra layer. Ask my arm. Leave your camera at home unless it has a waterproof case. 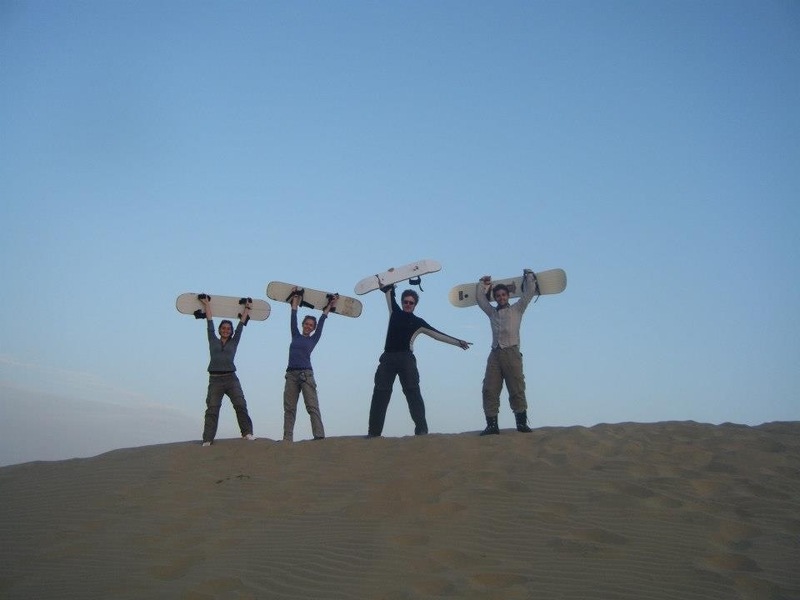 If you’ve never been able to stand on a snowboard, mastering these skills on sand is unlikely. It is possible to board if you have extreme skill, but even then it is much easier to hit bumps and dig your way into an impressive face-plant. It might not look pretty, but you will always win the race if you belly-surf like a rocket down the slope. Candle wax is an essential accessory here, so ask your guide to provide you with some. The more time you spend rubbing your board, the faster you’ll speed down to the base. Listen to your guide and only hit the slopes that they recommend. 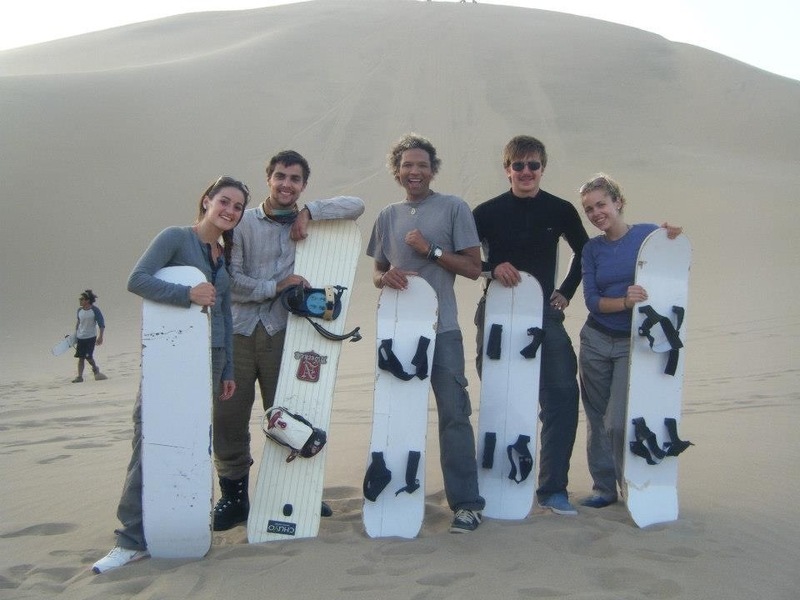 My friends and I got carried away and launched ourselves down a series of 200ft dunes, before our guide told us to walk all the way back up a monstrous crumbling hill. It was regrettable. Some of these dunes are seriously steep, so avoid looking at the tiny ants waiting for you at the bottom. As always, it’s best to go earlier if you’re afraid of heights, and dig your shoes into the sand if you want to slow down. I once boarded down the side of a Volcano in Nicaragua. Which sounded like a lot of fun until you realised that you had to carry the board all the way up the Volcano. Made me realise why those ski people have all those lifts. I prefer walking to those button lifts – most terrifying things to try and sit on in the history of moving objects! Horses are pretty terrifying too. Sounds like you have a good story to share there! Not really, I just don’t like the idea of sitting atop a giant, snorting beast with no steering wheel and certainly no brake other than the rather ineffectual sounding “whoa there!” I may be missing the point though.